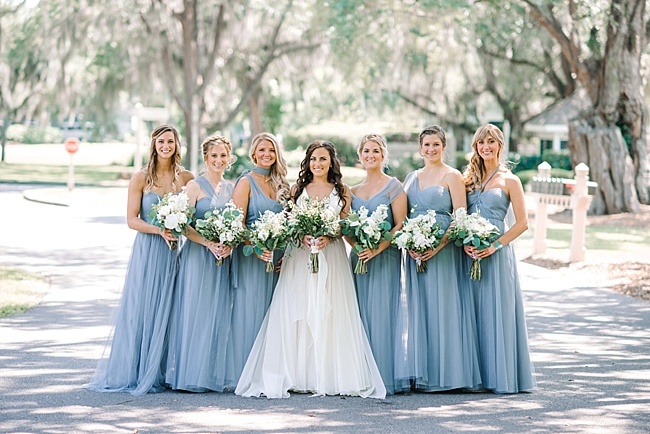 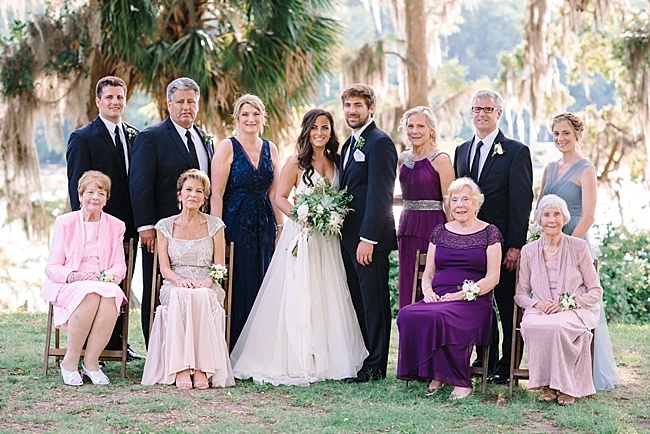 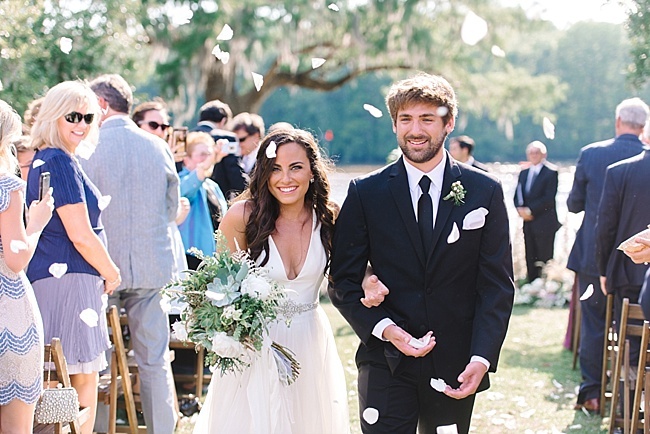 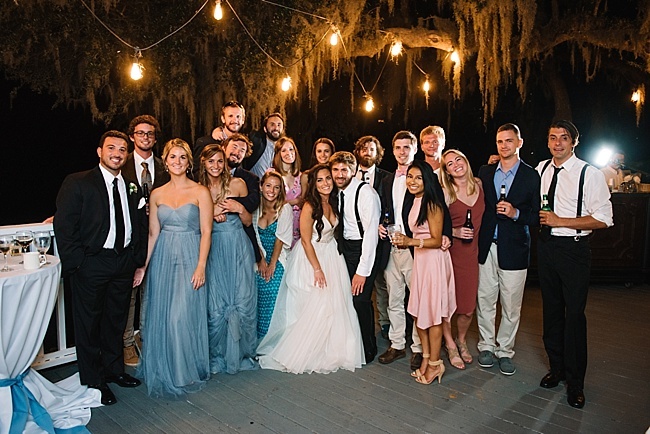 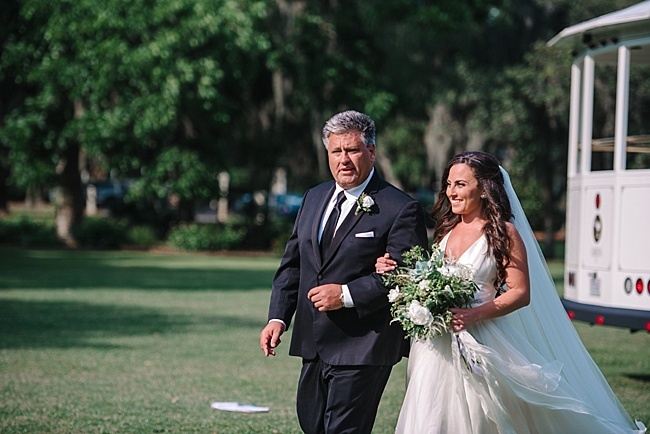 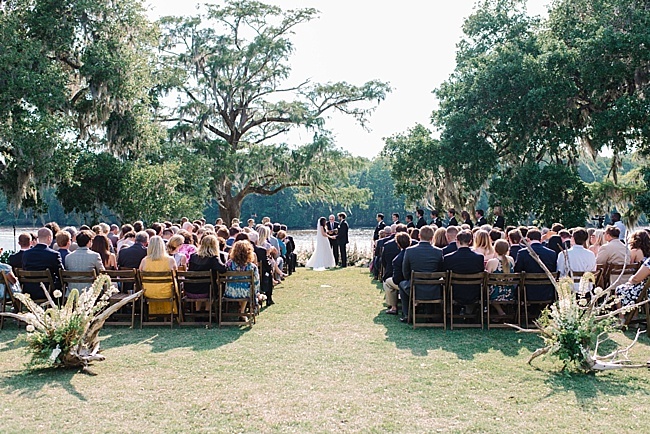 Stephanie and Jason met through a mutual friend at the College of Charleston. 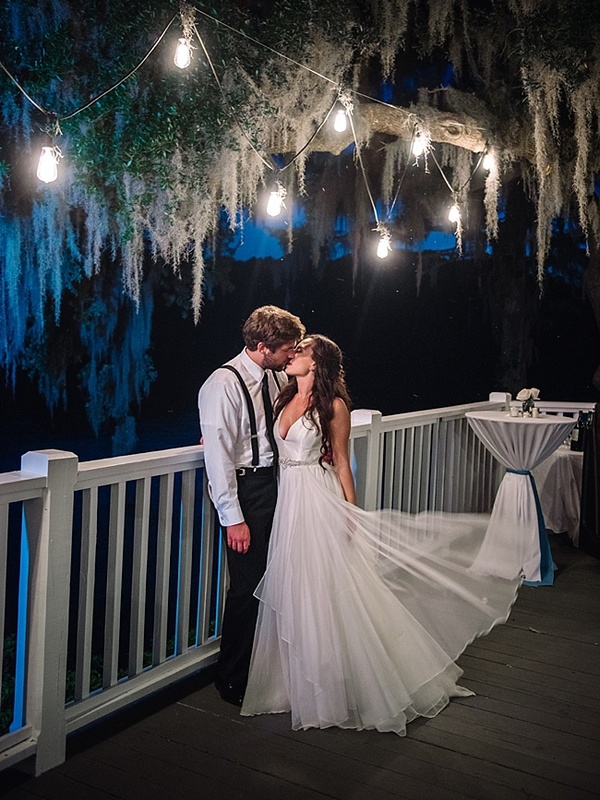 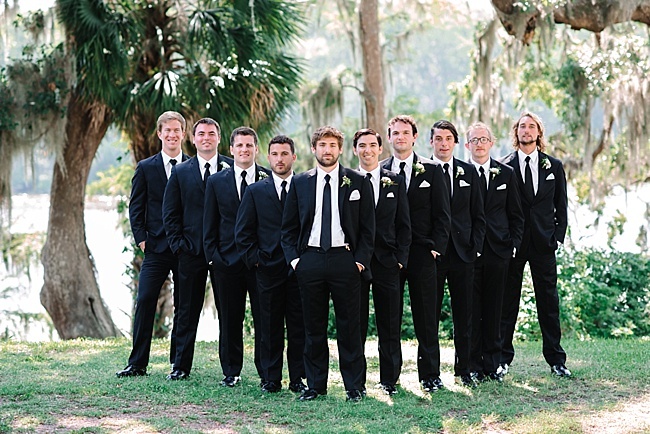 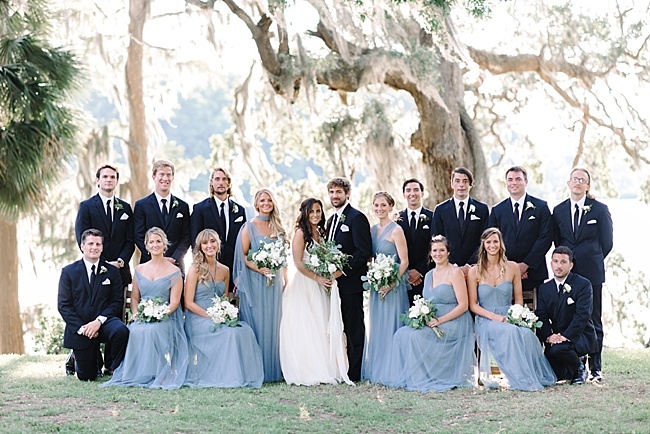 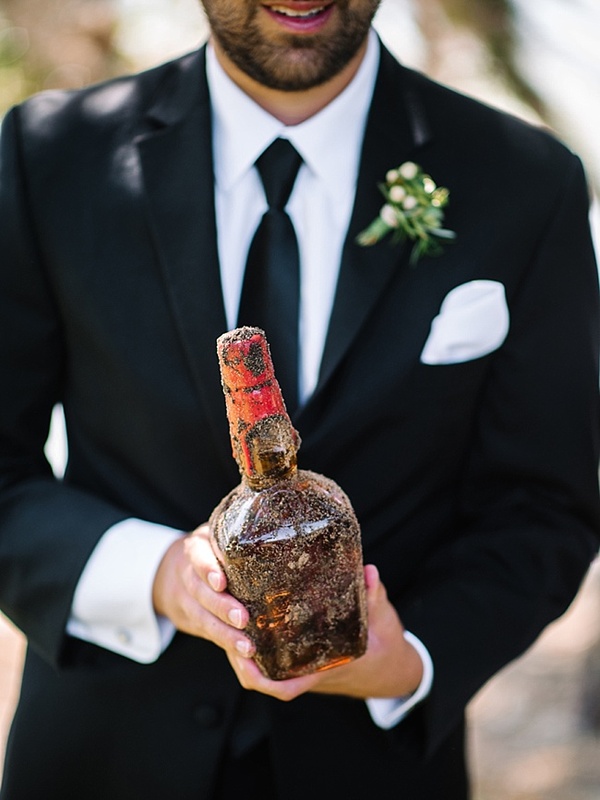 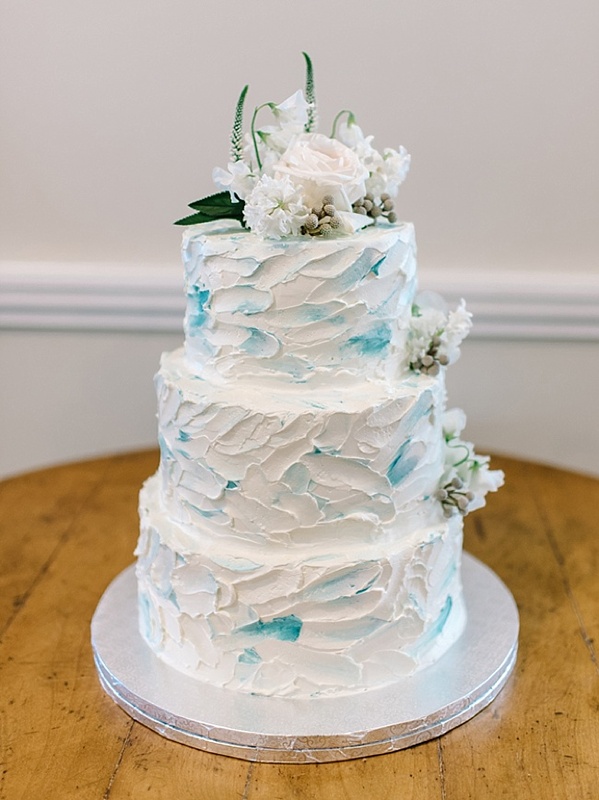 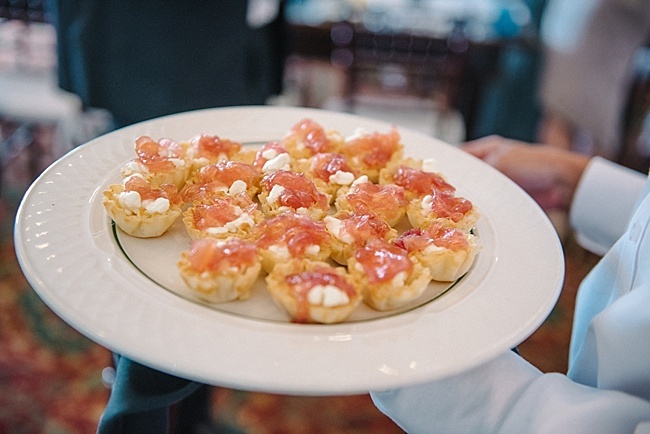 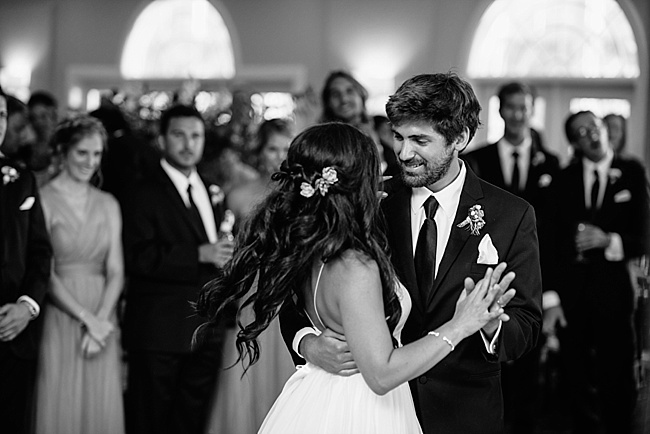 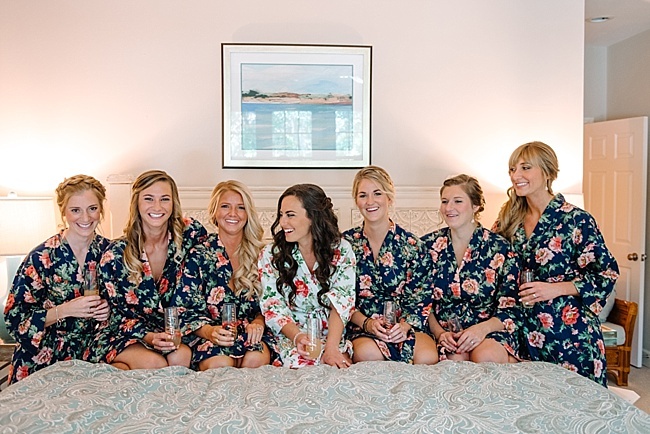 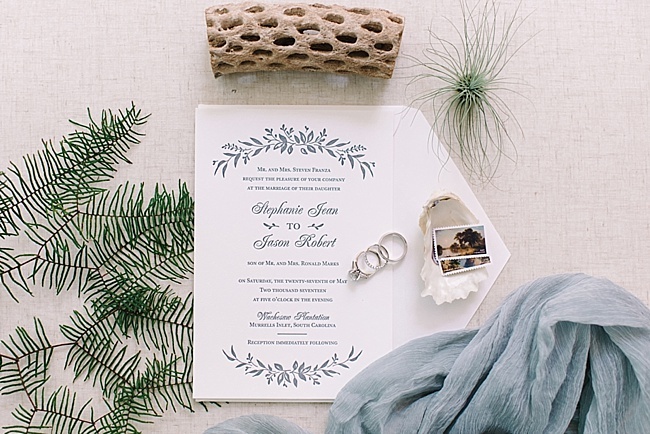 They both love the ocean and surfing, which was a major inspiration for their May wedding at Wachesaw Plantation. 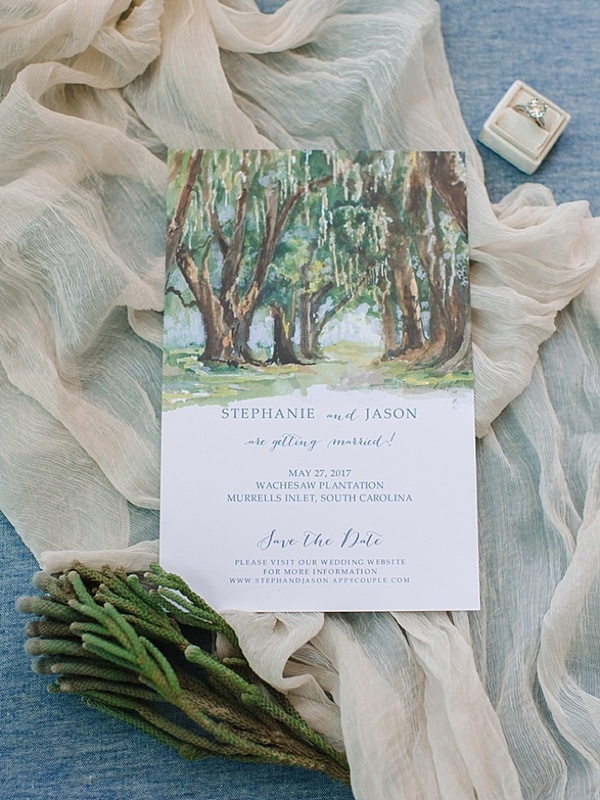 They wanted lots of blues, natural colors and greenery. 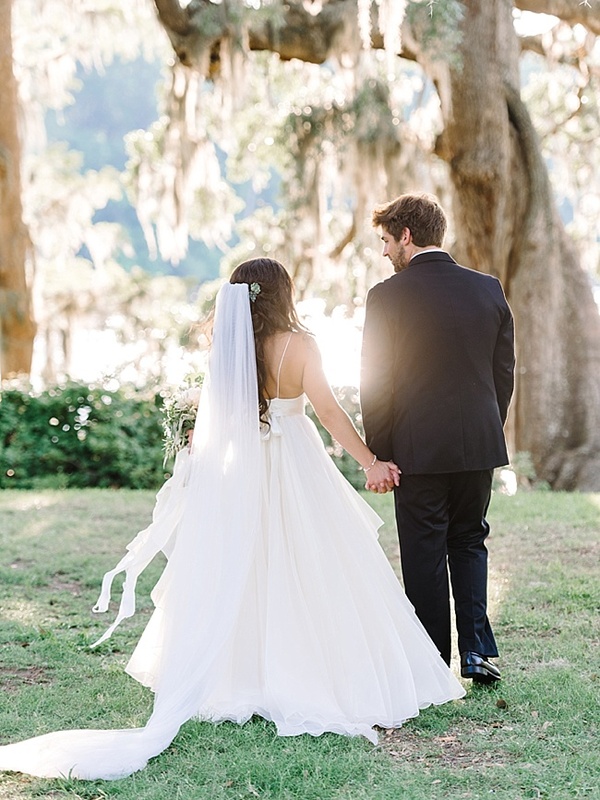 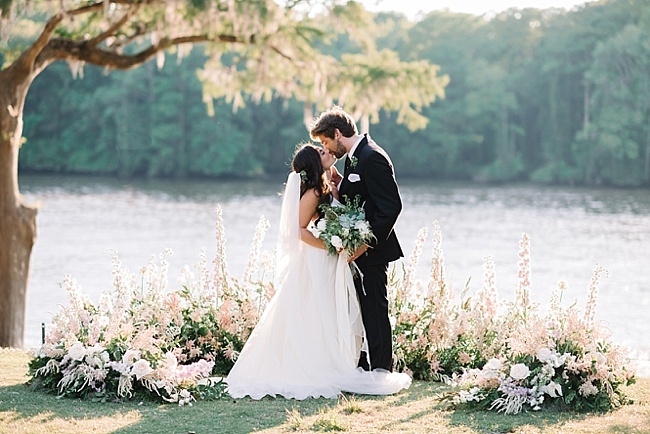 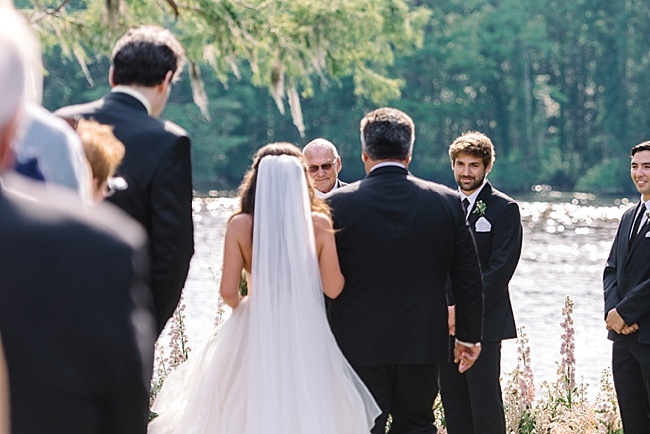 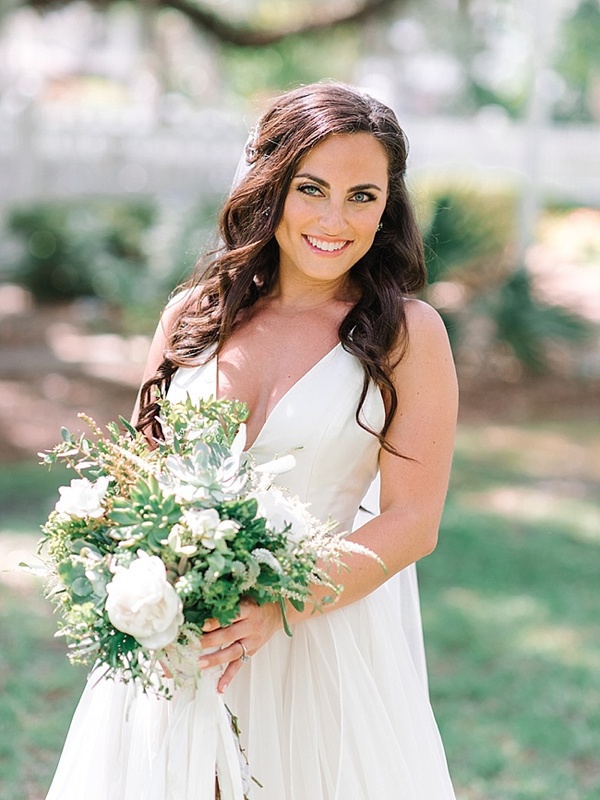 The ceremony was held on the bluff overlooking the river with the Spanish moss and live oaks providing a Lowcountry vibe. 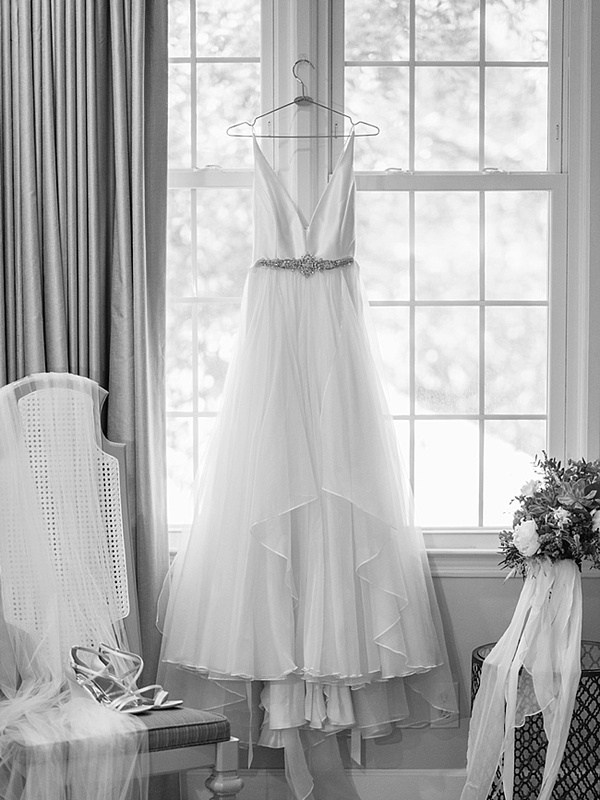 Stephanie wanted to create a special altar that complemented the surroundings but was different from what she had seen at other weddings. 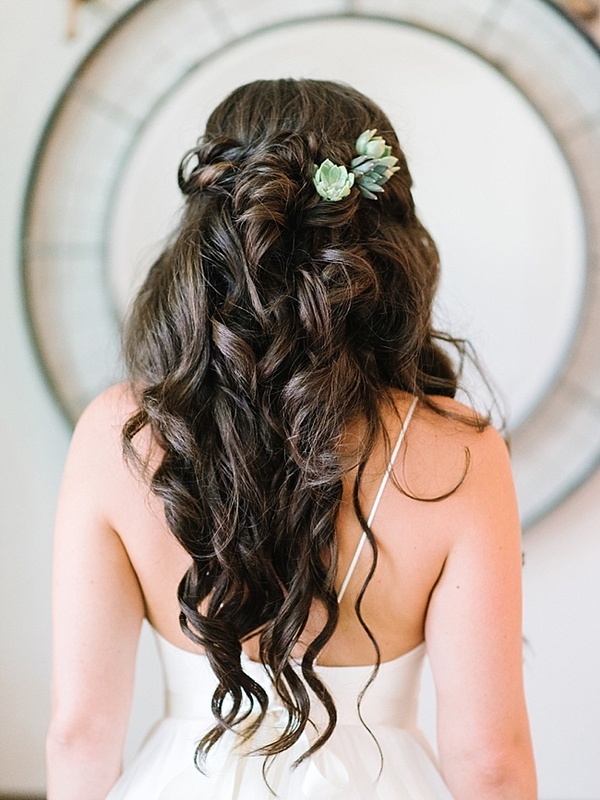 The idea of a floral horseshoe was brought to life with lots of different flowers in perfect soft spring hues. 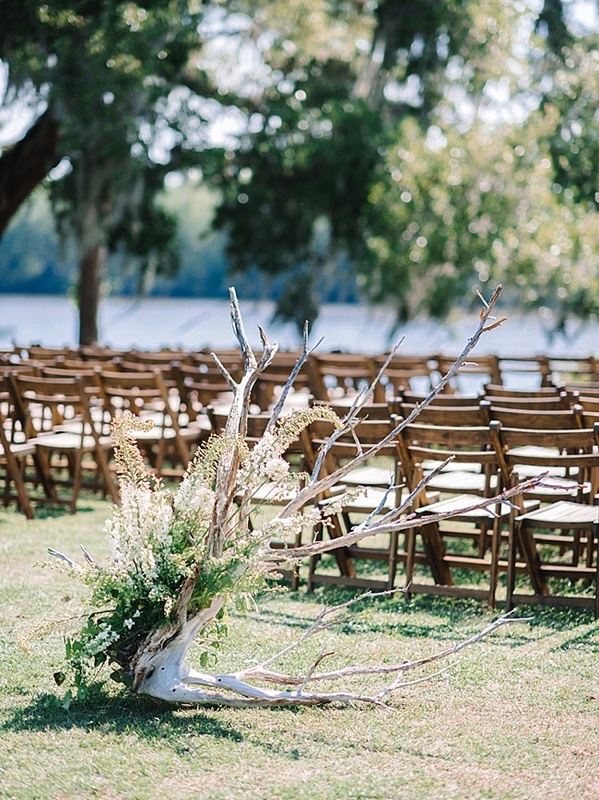 Two huge pieces of driftwood adorned with greenery and flowers lined the entrance to the aisle. 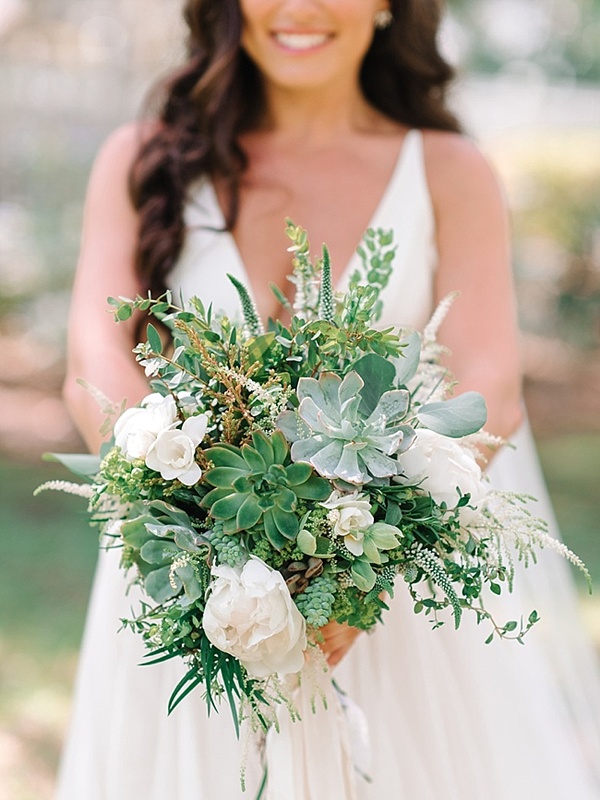 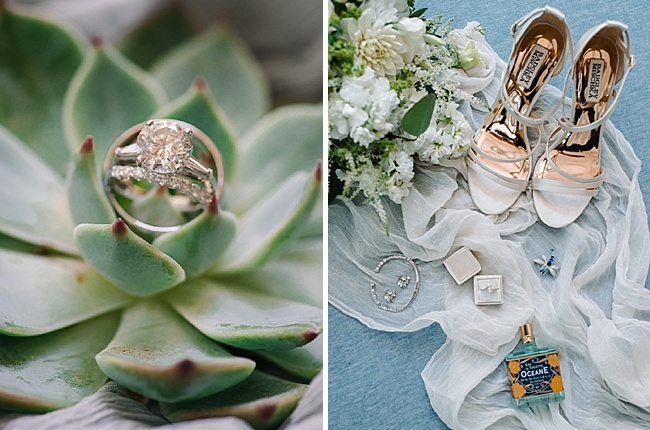 Wild, natural centerpieces featured white flowers and foraged greenery from local riverbanks, as well as driftwood, air plants, succulents, sear fern and eucalyptus garlands. 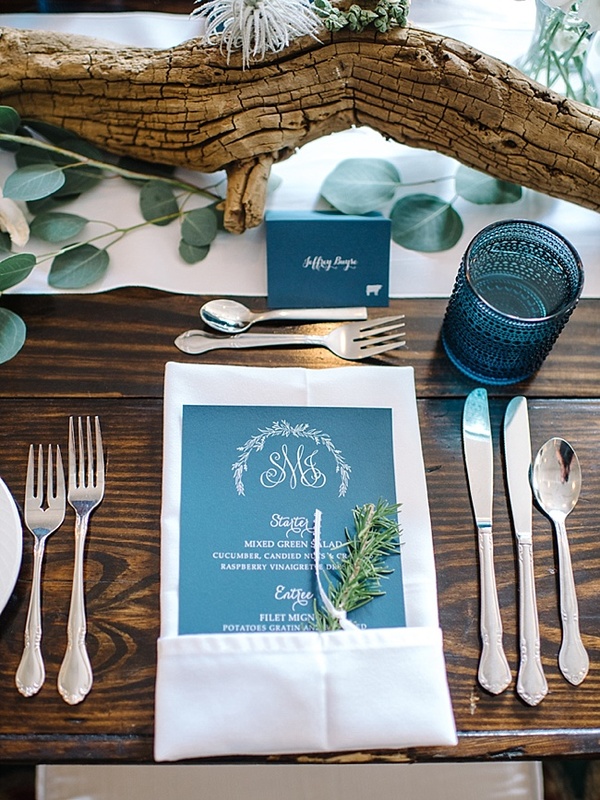 Candles, oysters and small vases with sweet peas completed the look. 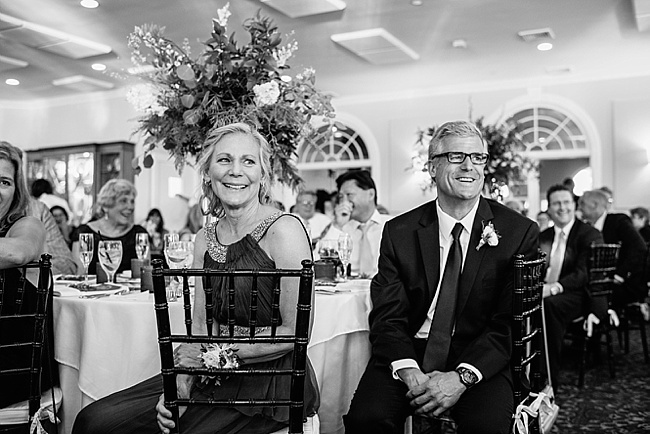 Stephanie grew up in the neighborhood, so having her big day at a place that held so many memories was very special to her.